You are here: Home / News / GOP Agenda Must Be Stopped! 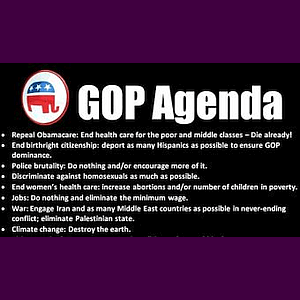 GOP Agenda Must Be Stopped! (ThyBlackMan.com) In the Age of Trump, logging onto Twitter can elicit everything from hysterical laughter to deep concern and fear. From time to time, I’ve even had the urge to teach the Trump Administration basic math. However, the Wednesday after Democratic candidate Doug Jones won the special election in Alabama for Attorney General Jeff Sessions’ vacant U.S. Senate seat, I woke up excited about the election results in Alabama. The first thing that I did that morning was log onto Twitter. When I looked at the trending hashtags, I saw one that I’d never seen before. One that surprised me: #ThankYouBlackWomen. I must’ve rubbed my eyes twice just to confirm what I was seeing. But there it was: #ThankYouBlackWomen. In the Alabama special election, African Americans represented slightly less than 30 percent of voters and cast 96 percent of their ballots for Senator-elect Doug Jones. Quite simply, African American voters, especially women, had a dramatic impact on the race, shifting the power dynamics of the Senate. While the disturbing and shocking allegations against Roy Moore certainly helped increase turnout and steered some voters to Jones, people, especially African Americans, voted because they understand that Trump and Congressional Republicans are taking our country to unimaginable lows. Republicans have controlled the White House and both chambers of Congress since President Trump was elected. In that time, the president has sought to normalize White supremacy and Congress has continued to strip away the protections afforded to millions of Americans under the Affordable Care Act. The GOP has passed spending bills that actively take resources away from communities of color. They even found the time to give a massive tax giveaway to a handful of super rich families and major corporations. Yet, over that same year, they’ve refused to pass legislation to stabilize and decrease health insurance costs, to reauthorize health insurance for nine million kids, to prevent gun violence which kills 10 times more African American kids than White kids or to protect our hard won right to vote. While voters were rejecting Moore, they were also rejecting more; they were rejecting the Republicans’ dangerous and destructive agenda that’s forgotten who we are as a nation and put millions of American families at risk. Those Americans rejected Republican plans to take away their healthcare and stack the deck in favor of corporations over families. They rejected ending environmental regulations that protect kids from asthma. They rejected a party, which believes its okay to suppress and outright disenfranchise voters just because of their race. When the Alabama voters checked that box, they made their voices—and no one else’s—heard and it shook the nation. As we prepare for the upcoming 2018 election, all of these issues will be on the ballot again: access to healthcare, tax increases on people who work for their paychecks, preventing gun violence, investing in our children’s education, increasing the minimum wage and protecting our voting rights. As Americans, we have a voice in these decisions, a voice that was paid for in the blood, sweat and tears of Americans who’d come before us. Our voice belongs to us, because we fought for it and we continue fighting for it. We need to honor their sacrifice by showing up at every election. We need to honor James Chaney—a civil rights worker who was killed by members of the KKK in 1964 for registering African Americans to vote—by proudly earning that “I Voted” sticker. It’s up to us to keep the voice of our community strong and we do that by showing up and casting our ballots, like so many did in Alabama and across the country. Our foremothers and forefathers sacrificed life and limb for our right to vote. Simply too much is at stake for us to sit on the sidelines. The issues that affect our lives and our children’s lives are debated every day at City Hall, in state General Assemblies and in Congress. We were given a voice in who makes these decisions for us; let’s keep using it.